Despite a few large companies in the solar industry having some financial and legal woes, the solar industry continues to give some hot stocks to buy. One country just pledged an investment of $100 billion over the next six years in solar, and in December, Congress extended solar credits for another five years, giving the industry another boost. By 2020, it's estimated that there will be an additional $73 billion in solar investments, providing 8 million more American households access to this alternative energy source. This will also provide us with hot stocks to buy. 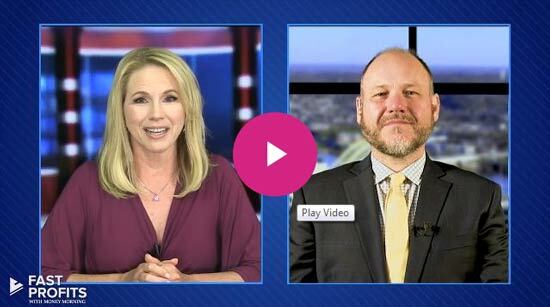 Money Morning Global Energy Strategist Dr. Kent Moors believes that "solar is here to stay." He said these energy sources would continue to improve. Here are some of the solar stocks that are garnering the most attention so far in 2016. But not all are buys – take a look. Hot Solar Stocks to Buy: SolarCity Corp. (Nasdaq: SCTY) is the largest residential installer of solar power. The company is on track to grow its business by half in 2016 and has taken moves to manufacture its own high-efficiency panels. SolarCity Corp. also has a contract with the Department of Defense to provide military bases and more than 120,000 military housing units with solar power. The company's stock is trading at $20.37. Right now it's been beaten down a bit – this hot stock has fallen from around $32 at the end of April to $20 per share today – as bankruptcy rumors around this stock have picked up. It's not the strongest right now for that reason. Hot Solar Stocks to Buy: 8point3 Energy Partners LP (Nasdaq: CAFD) was formed in 2015 by SunPower and First Solar as a limited partnership that acquires and operates finished solar projects. 8Point3 Energy Partners reported a fourth-quarter loss last year, but its earnings were up 75% at year's end. The stock is currently trading at $14.61. Hot Solar Stocks to Buy: SunPower Corp. (Nadaq: SPWR) designs and manufactures solar panels and high-efficiency solar cells for residential and commercial applications. While the company's stock is down over 48% year to date, it is still considered a strong buy, according to many analysts. SunPower's most recent quarterly earnings grew 565.38%, and revenue increased to $1.36 billion from just $441.4 million. The one-year price target by analysts as presented on Yahoo! Finance is $32 – more than double where it trades today. Hot Solar Stocks to Buy: First Solar Inc. (Nasdaq: FSLR) fabricates solar modules using a thin-film semiconductor process that significantly reduces solar electricity costs. The company's stock is currently trading around $47 and has shown about a 30% loss year to date. Despite this, the company is rated as a "Buy" by many analysts for several reasons. It has reasonable debt levels, a good return on equity, and attractive valuation. First Solar is a U.S.-based photovoltaic (PV) producer of solar panels, as well as a provider of PV power plants and supporting services including construction, maintenance, finance, and end-of-life recycling. The company was founded in 1990 by inventor Harold McMaster under a different name and was purchased and rebranded as First Solar Inc. in 1999. It went public in 2006, trading on the Nasdaq, and has been one of the world's largest makers of PV modules since 2010. First Solar was the first solar panel company to reduce its manufacturing cost to $1 per watt and reported a cost of just $0.59 per watt in 2013. Today, the company has more than 10 gigawatts (GW) installed globally and 3.3 gigawatts under contract. First Solar's markets are spread across North America, Australia, Africa, Asia, and the Middle East. Although First Solar's stock is down this year, it has a conservative price/earnings (PE) ratio of just 6 compared to the industry average of 22.5, and its three-year average revenue growth is twice the industry average of 3.5%. First Solar took the opportunity to highlight its strengths during its recent analyst day, and the company continues to make progress in all aspects of its business. In February 2016, it broke another record with its cadmium telluride research cell, achieving 22.1% efficiency. First Solar is also improving its fleet efficiency by 105 basis points annually, which is four times faster than improvements made with competing technologies. Finally, in its last reported results, there was an earnings surprise of 107.8%, giving First Solar stock another boost. Because First Solar has a conservative approach to growth, it remains in industry favor versus other aggressive companies that have lost ground. With regards to production, the company anticipates that its fleet efficiency will improve to 16.7% in the current year. The company has gained favorable analyst attention, with a mean rating of 2.1. Revenue for the current period is expected to be nearly $962.8 million, a 105.2% increase over the same period last year. 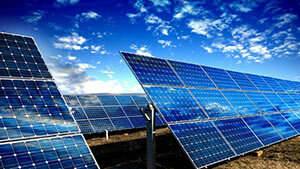 First Solar's Components and Systems segments provide solar energy solutions on a global scale. Its conservative business model and drive for record-breaking efficiencies make First Solar stock a popular choice in alternative energy investments. Extended tax credits, the hunger for green energy resources, and fluctuation in oil prices make a strong case for solar stocks. Solar capacity is booming worldwide, and this is one of the boom markets of both the present and the future. Investing in solar power, like First Solar stock, continues to be popular as governments around the world are encouraging the use of renewable energy resources. In the United States, President Obama recently announced an initiative to clean up U.S. emissions involving green energy resources, which is only one of the reasons that analysts are bullish on solar stocks. The popular 30% investment tax credit for solar power has also been extended another five years, giving the industry an additional boost. According to Money Morning Global Energy Strategist Dr. Kent Moors, "Solar power is currently booming all over the world. In the United States, a solar project is completed every two minutes – and in China, the pace is even faster." Follow Money Morning on Facebook and Twitter.